Review : WOW What a AWESOME plane!!! I had not flown a fixed wing model for over ten years. So I picked up a Freewing Pandora took that out 3-4 time and it all came back to me. So next time at the shop I was looking for my next model and ended up with the Advanti S Sports jet. Having never had a EDF before I had some butterfly's the first time I opened the throttle. 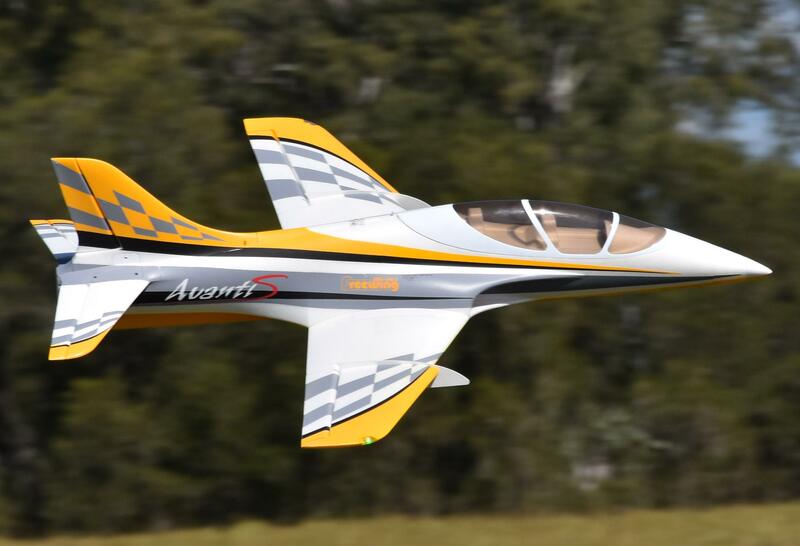 The Advanti S fly's like its on rails, high speed is fast but so smooth. Pull the throttle back and it fly's like any sports plane and landing is very forgiving at low speed. The all metal landing gear with suspension works great off a grass strip. The overall build quality is fantastic and setting it up was easy. Think I going to stay with EDF models now.